Donkey Kong's back, and this time he's gracing our screens with an HD flourish. 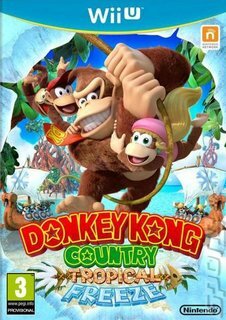 Marking the titular ape's first appearence on the Wii U, Donkey Kong Country: Tropical Freeze brings lush, dynamic scenery with a chest-pounding soundtrack from David Wise and, of course classic Donkey Kong gameplay. It's not quite the sort of Donkey Kong Country you remember, though. The Kongs' island home has been invaded by an unusual bunch for their part of the world. 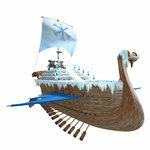 The mysterious Snowmads, arriving in their longships, have blown a mytical horn and brought down snow and ice onto the island paradise. If that wasn't bad enough, the arctic cyclone that's enveloped the island has swept the Kongs far away, and now they must battle over six different islands to get back to their home and oust the invaders. Rambi rides, underwater segments, massive boss battles and plenty of secret pathways await you in Donkey Kong Country. Developer Retro Studios has also tweaked the way Barrel Cannon blasts and Mine Carts are seen, giving them a more exciting and cinematic spin. Once again, Donkey Kong has the option to team up with his buddies to get the job done. Diddy Kong's back with his Peanut Popgun and Barrel Jet, Dixie Kong returns with her Gumball Popgun and hair-based helicopter antics and, for the first time, Cranky Kong is around to help with his Cane Bounce move. You can either have a friend pile in to take the role of the second character, or leave it all to the AI. New to the series is a Time Attack mode, which enables players to upload their times to worldwide leaderboard, as well as share replays. 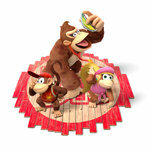 Donkey Kong Country: Tropical Freeze offers the sort of winter you've never seen before, whatever time of year it is!